This was a bit of a splurge purchase, as Feel Unique have had some really good discounts lately, and I have wanted a serum that I can apply day and night to give a bit more hydration to my skin which is very very dry at the moment (also the packaging may have influenced my decision as it comes in a lovely little blue box). It is a really lightweight texture and gives the right balance of hydration without being too much. I actually really like it as a primer as it gives a nice base to apply make-up. My skin has been feeling a lot silkier lately, perhaps down to a combination of the new products I have been using, but I like to think this has played a part in that. I have read reviews that say it can be a bit of an irritant, so maybe it is not a serum for those with sensitive skin (it is also fragranced which could put some off). But overall, I have used this non-stop since it arrived at my door and I would definitely recommend it if your skin is dry and needs a bit of hydration. This is my wonder-product of the week: the Yes to Grapefruit Facial Scrub. I had been wanting to try out the Yes To range for a while, having seen positive things on websites and Instagram lately, but as I've been product-buying quite a lot lately I thought I'd go for one of the more affordable products in their ranges. 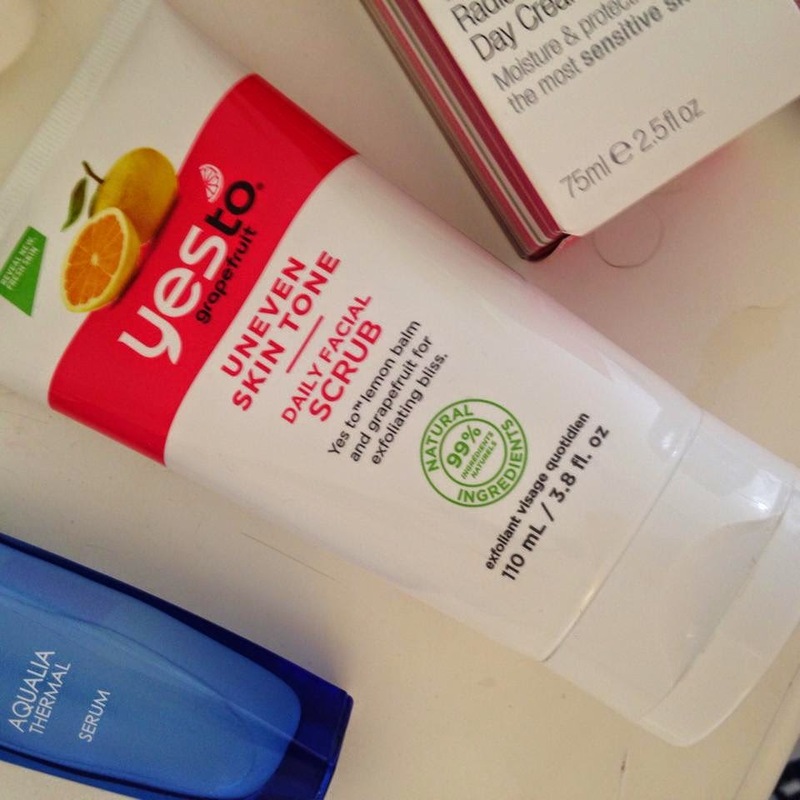 I went for the Yes to Grapefruit as it claims to even out skin tone to make your skin look brighter, as well as exfoliate, which sounded like a great combination to me as a lot of exfoliators I use tend to make my skin quite red after use. Firstly, it smells amazing; grapefruit is a really fresh scent which is so nice to use in the morning. As an exfoliator, it isn't too harsh but it does do the job and leaves skin feeling so smooth and lovely. As for evening skin tone, I don't know if it is completely down to this product but literally after the first time I used this my skin looked ten times better than before - it is a lot more glowy and even like it claims on the bottle, making putting on make-up so much easier. I am completely sold on this product and have used it everyday since - I can't want to try the rest of the range and want to stock up on this one in case it is ever discontinued...!! I originally bought it in Holland and Barratt as I had a points voucher to redeem, but the whole range is sold in Boots and Waitrose who frequently have offers on. At £6.99, it is such good value and I would definitely recommend trying it out. 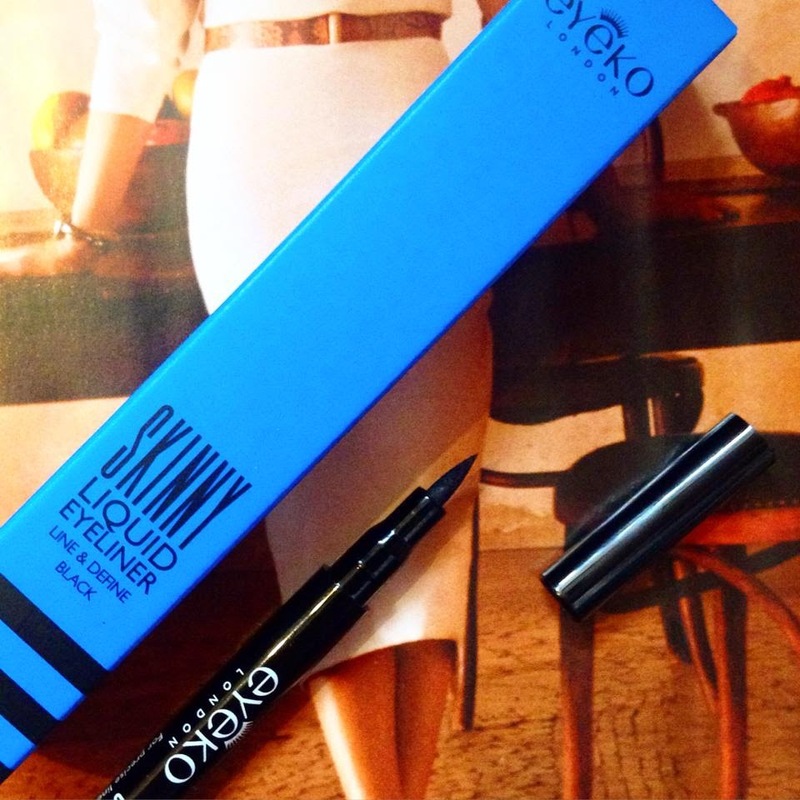 I have tried the Eyeko eyeliners a while ago, but I never got round to replacing it once it ran out so I was pleasantly surprised when I saw it on the front of In Style magazine this month as a freebie (they also had Eyelash curlers, face wipes and a chunky eyeliner as other free gifts). I use liquid eyeliner everyday as I find it a lot neater and easier to apply (and longer lasting) than eyeliner pencils, and have previously been using the Collection Fast Stroke Liquid Eyeliner which has always been my go-to eyeliner - the only problem I sometimes have is that when you first apply it, there is a lot of the liquid on the applicator. This is great for when you want quite a bold line, but I find it difficult to draw a thin line across for daytime make up. With the felt-tip style eyeliners, like the Eyeko one, I find it a lot easier to draw a thinner line and I am less likely to make a mistake. At £12, it is quite a bit more expensive than the Collection liquid eyeliner (£2.99 at Superdrug) and I don't think the Eyeko eyeliner lasts as long, but I do prefer it especially in the summer when I don't want too heavy eye make up for the day. 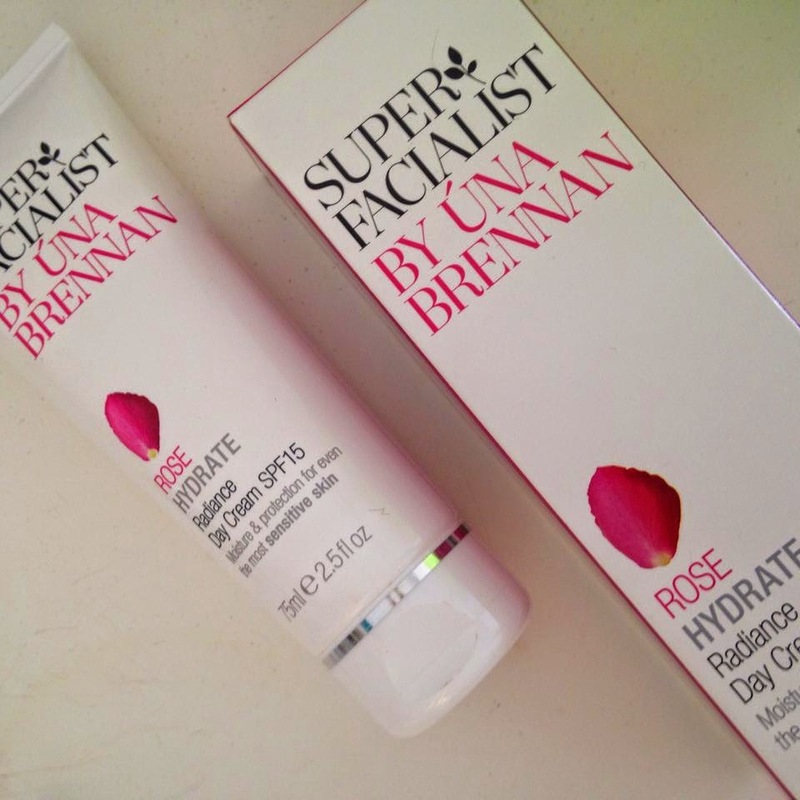 I bought this as I've been keen to try more of the Una Brennan products, having loved the Superfacialist Micro Polish Wash. 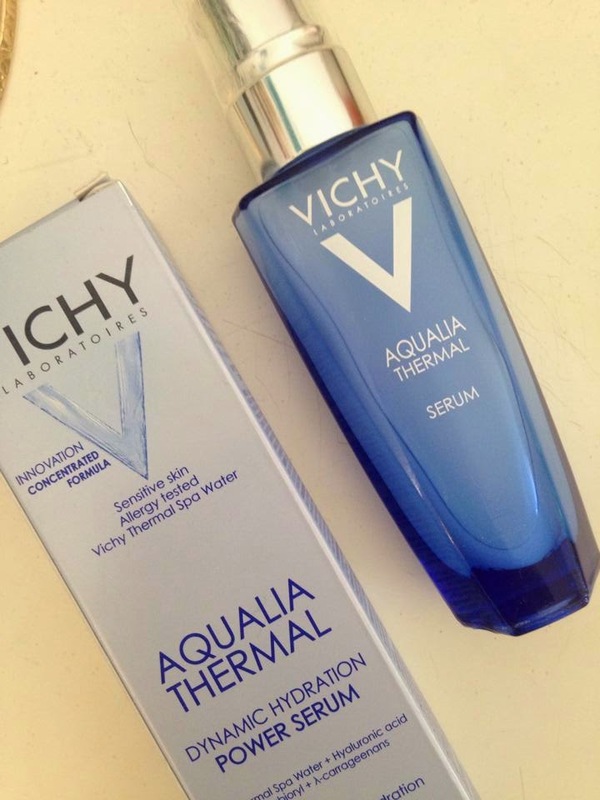 Along with the Vichy serum, it was purchased in a quest to hydrate my skin a bit more, as I find it a lot easier to apply make-up when my skin isn't as dry. This is one of the most moisturizing products I have used - when you first apply it leaves your skin completely illuminated and shiny with moisture, but it absorbs within a few minutes and gives you a perfect base for make-up (and the rose scent smells lovely). It has SPF15 as well, which is great for skin protection and means you don't have to lug a sun-cream around with you just in case the sun appears as its already in your moisturizer. It's slightly pricey for a daily moisturizer in comparison to other high-street ones as you only get 75ml, but I would re-purchase as I haven't found one to match this yet in terms of hydration. Makeup Revolution is a range that I am quickly becoming very obsessed with, as I am yet to buy a product I am disappointed with, and for the price it is amazing value. The single eyeshadows are only £1 each, and I picked up the shade Mountains of Gold, as it is quite a shimmery bronze which is a colour I have started to wear under my eye as an eyeliner substitute. I wasn't sure about how pigmented it would be for the price, but when applied it is really vivid, and one application is enough for the day as it is really long lasting. Definite thumbs up for the Makeup Revolution eyeshadows! I am a bit slow on the band wagon with these eyeshadows, as I have seen lots and lots of raving about how good these are. When I finally got round to getting one in the Boots 3 for 2 last week, I chose the On & On Bronze shade (there is a pattern appearing in my eyeshadow buying...) again to wear as eyeliner under my bottom lashes. 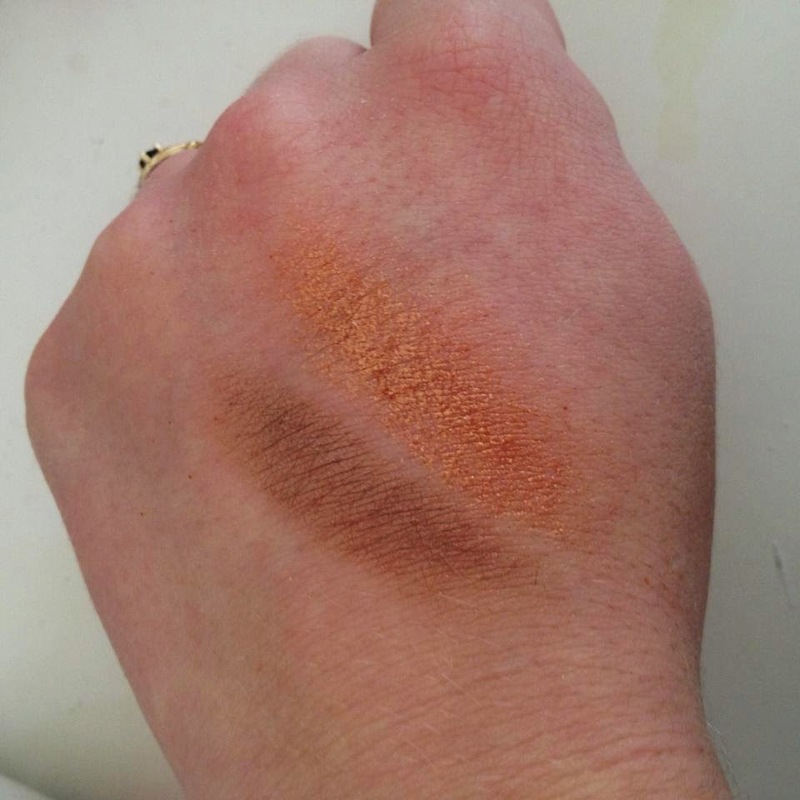 It is quite similar to the Makeup Revolution Mountains of Gold, in that it is also quite shimmery (this one maybe a bit less), but it is a bit more subtle in shade - more browny-bronze than orange-bronze, and obviously it is a cream texture rather than a powder. It is really long lasting like it claims to be, and really easy to blend due to its creamy texture. Great post! 'Yes To...' is a lovely affordable brand! I'm definitely going to check out the Eyeko liner! I know Alexa Chung is the face of the brand and I'm obsessed with her! I love the Yes-To Tomatoes line and I frequently battle some obnoxiously large zits. I just found your blog, and I absolutely love it! I was wondering if you could check out my blog. 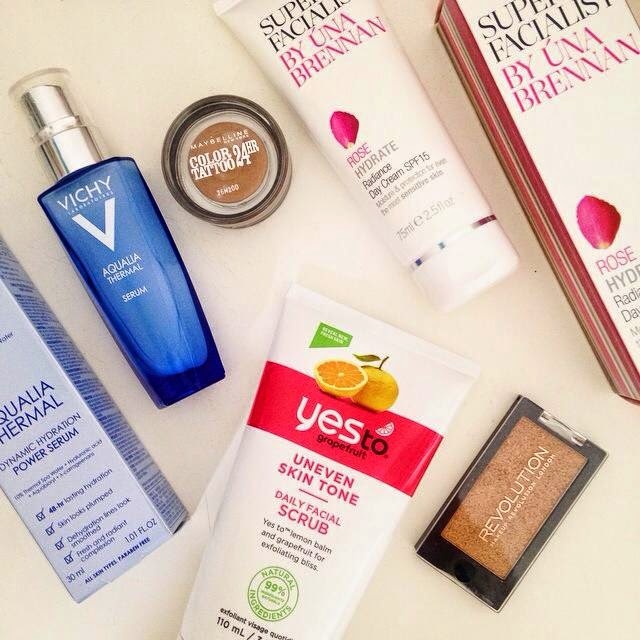 I love the "yes to" products I always use the tomato ones! I've been wanting to try the Yes To range as well, the exfoliator sounds so good! Hey nice post! I've nominated you for a Liebster Award - it's been floating around to help new bloggers out!